The summer holidays have flown by, schools have reopened their doors ready to start the new academic year and our consultants have resumed their regular visits, but we just wanted to take a moment to reflect on what’s been happening at turn IT on over the break. The holidays are always our busiest time for installations as empty schools mean any downtime or increased noise have less of an impact. This summer was no different and our team were fully booked with installations before the end of July. 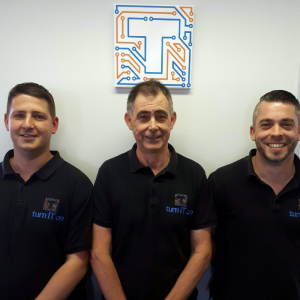 We have a team of 3 installation engineers, Steve Welch, Mark James and Paul Whitley, all of whom have been working at turn IT on for the last three years and carry out all of our installations. This summer their days were filled with installations of Ruckus Wireless, Interactive Panels, Hall Projectors and cabling alongside decommissioning end of life devices and temporarily removing devices to allow for decoration. Installations this summer were completed with a 90+% right first time rate and the feedback we have received from our schools has been great, as always. We are already getting booked up for this term so, if you have an installation required for October or Christmas holidays please speak to your consultant or School Development Manager as soon as possible. In the consultant teams, we had a number of Discover Server installations, Network upgrades and setting up of new ICT suites. Although there are no regular school visits during the summer there is always something consultants can do to ensure everything is working smoothly when everyone comes back for the new school year. The last Wednesday of the summer was our annual Staff Day and a chance for all turn IT on staff to come together for a day of updates, training and team building. As turn IT on has grown, now supporting schools in more than 45 Local Authorities and with over 110 staff, it becomes harder to get everyone in one place but every year we strive to get as many members of the team together as possible for one day. This year we have had lots of new members join our various teams including the team at Lexicon Lifeline in Dorset who came along to meet everyone and hear about the exciting plans for the new year. Alongside updates from Tom Welch on the plans for the new academic year we had presentations from different members of our teams covering the exciting developments with our Discover network, an update from our GDPR team and an ICT lesson from one of our curriculum consultants. We also had a sports day in the school playground including beanbag throws, cricket challenges, hula hooping and an egg and spoon race. Everyone scored points for completing the challenges and the points added up to a total amount turn IT on would donate to charity. Over the last year several members of turn IT on have been affected by cancer, either personally or in the family. 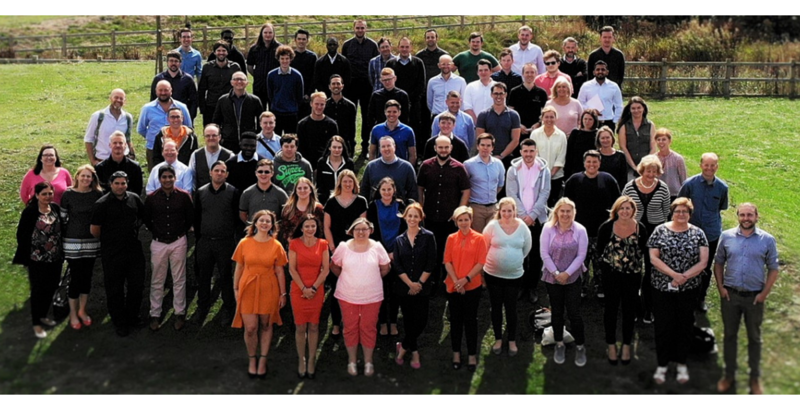 We did not want the staff day to pass without doing something to help those close to us and, thanks to the points raised at the sports day, we have donated £1,350 to The Royal Marsden Cancer Charity. We always look forward to the company day and having the opportunity to raise money to help others made the day even more worthwhile. Seeing the rest of the team at the end of the summer break gets everyone geared up and ready to provide our schools with outstanding support for the new school year. We are all looking forward to seeing where this new academic year will take us.